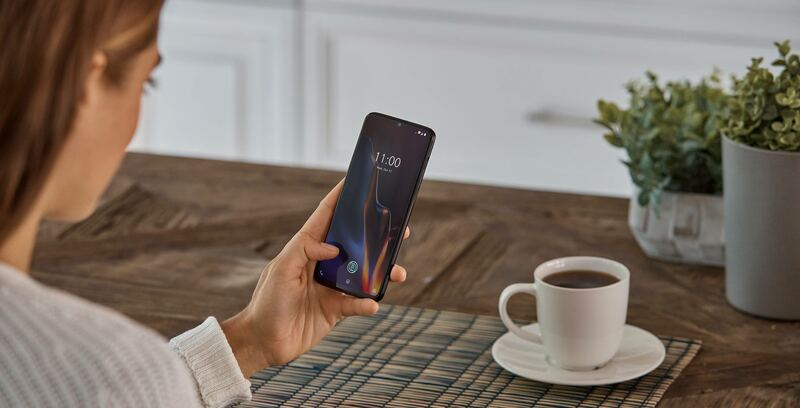 Fewer than six months after the launch of the OnePlus 6, Canadian consumers can now purchase the OnePlus 6T. Set to launch later this week, the OnePlus 6T adds an in-display fingerprint sensor, while removing the OP6’s headphone jack; a larger battery; and new camera software features to OnePlus’ fifth generation smartphone. Canadian consumers can purchase the OnePlus 6T exclusively via OnePlus.com starting on November 1st, 2018. At launch, the OnePlus 6T is available in two colours: ‘Mirror Black’ and ‘Midnight Black.’ The former features a glossy black finish, while the latter has a matte black finish. As with the OnePlus 6, the OnePlus 6T will be available in three configurations differentiated by available colour, internal storage and RAM combinations. The base model OnePlus 6T costs $20 CAD more than the OnePlus 6 did when it first became available. However, the entry level OnePlus 6T also comes with twice as much internal storage as the base model OnePlus 6. The latter two configurations are priced the same as they were with the OnePlus 6. $719 CAD for the 6GB of RAM and 128GB of internal storage model. Available only in Mirror Black. $769 for the 8GB of RAM and 128GB of internal storage model. Available in both Mirror Black and Midnight Black. $839 for the 8GB of RAM and 256GB of internal storage model. Available in Midnight Black.